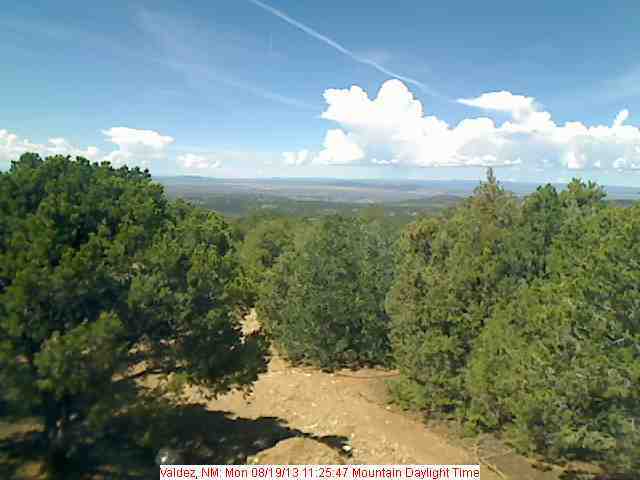 The picture below is from our exclusive Taos Web Cam in the hills above the Taos Valley looking out to Deer Mesa, Arroyo Hondo, and Tres Piedras. This picture is updated whenever the information in it changes more than three percent. The camera is currently pointed almost exactly west. NOTE: We get a lot less snow at this location than the Taos Ski Valley does. Do not rely on this picture as an indication of Taos Ski Valley conditions. That information is available at the Taos Ski Valley Snow Report -- hint: THEY HAVE LOTS OF SNOW!!! Experimental giant web cam (200kb typical picture) -- CLICK HERE. Read the www.mellinger.com site privacy statement.